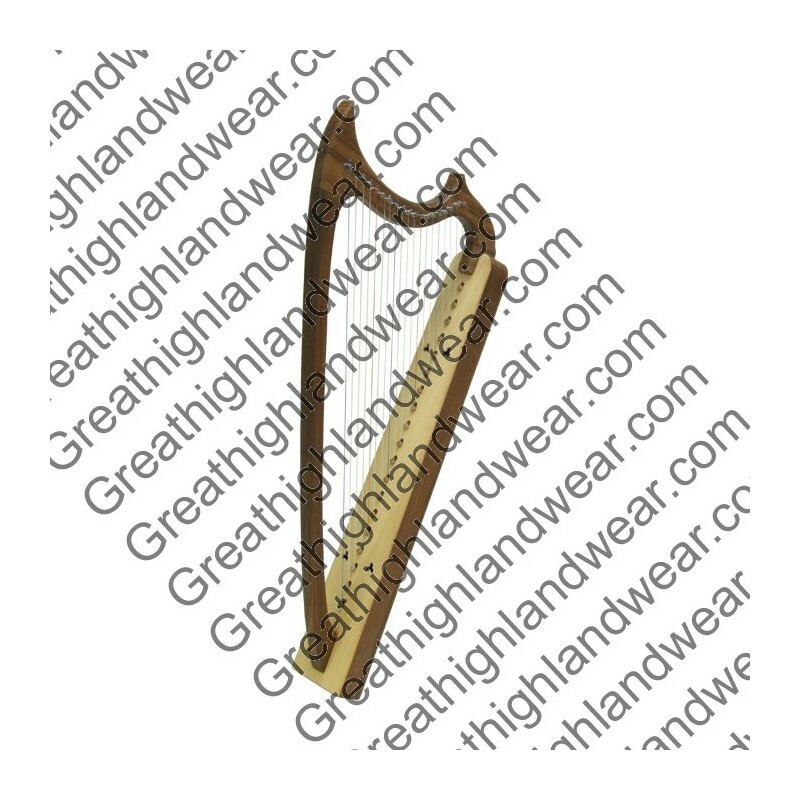 This is an authentic gothic harp, designed by T. The body, arm and pillar are Rosewood and the soundboard is spruce. There are 19 Dupont™ Nylon stings. 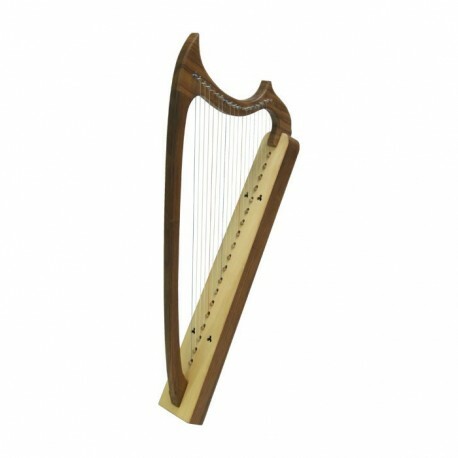 Unlike modern harps, the gothic harp is not strung from the back. Each string is held into the soundboard by tension and a small button topped peg. This is a non-standing lap harp with delicate lines. The graceful arm and pillar are accented with fluid curves. You will love this little beauty. 32 inches long by 15 inches deep. The base of the resonator is 5 inches wide by 2.25 inches deep.